The Cosmic Engine was five stories tall and its working innards were complex. Today, we know exactly how this device was created since Su Song left detailed blueprints and directions describing how it was built. Song’s Cosmic Engine worked from the eleventh century until enemies of the Song Dynasty destroyed it. This ingenious device led to the invention of Western clocks hundreds of years later, and we now know that many of the inventions and discoveries the modern world was built on originated in ancient Imperial China. The Confucian method of meritocracy was (and still is) the engine that led to the creation of all of the Chinese innovations mentioned in this series of posts and this is only a sample. The Chinese system of meritocracy then and now makes it impossible that anyone as weak or ignorant as George W. Bush or Donald Trump could ever come close to a position of top leadership. It is a common assumption (a guess) in the West that Europe and The United States invented the machines that power our modern lifestyles. However, new discoveries from ancient China are forcing us to rewrite history. While Europe was mired in the so-called dark ages, ancient China ruled supreme as the world’s technological super power, and we are discovering that many of the inventions that have shaped our modern world had their beginning in ancient China. There were complex geared machines that allowed production on an industrial scale such as precision seismographs that detected earthquakes, drilling machines that bored for natural gas hundreds of meters beneath the earth, or a super-scale Cosmic Engine that not only told the time but also predicted the passages of the planets and the stars. Some of these technologies were so complex, they remained a mystery for centuries. Two thousand year old books show in detail things that are still needed today. Another discovery from ancient China was drilling for oil. We assumed it was modern engineers that developed oil-drilling techniques. It wasn’t. They improved the techniques but did not invent the method. 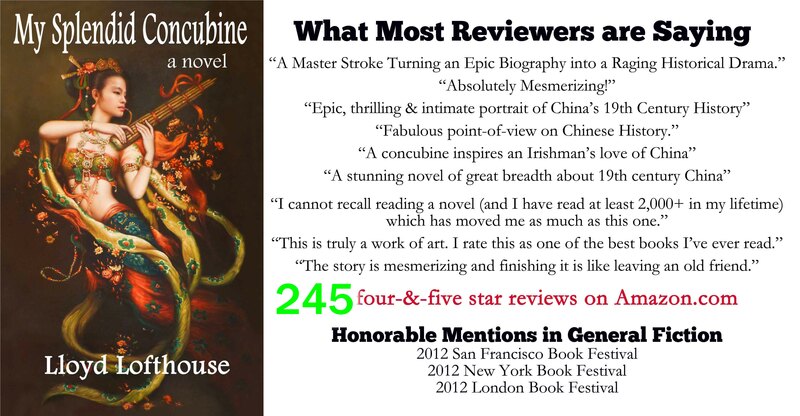 During the Song Dynasty, China’s innovations reached their peak. Inventers and engineers were creating machines that wouldn’t be seen in the West for another thousand years. In each pair, one role was superior and one inferior; one led and the other followed. Yet each involved mutual obligations and responsibilities. Failure to properly fulfill one’s role could lead to the end of the relationship. In Fact, Confucius taught that responsibility was not given just because you had wealth or power. Responsibility had to be earned through compassion for others and to live in moderation and not strive for excess. Did you notice that religion and God are not mentioned among the Five Great Relationships? China may be the only ancient culture that survived the spread of Islam and Christianity and managed to keep its unique identity. 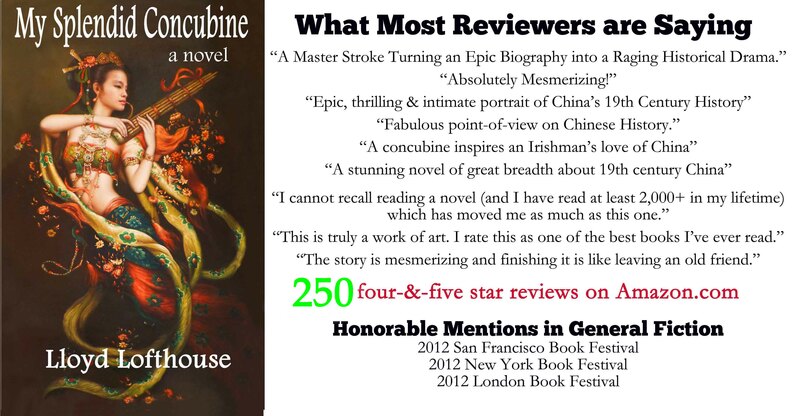 The following passage comes from My Splendid Concubine, my first published novel was historical fiction based on a real life story and it earned fifteen literary awards. In the novel, Guan-jiah is Robert Hart’s servant. The 3 teachings of Taoism, Buddhism, and Confucianism have been the backbone of Chinese culture since the bronze age, and are still intertwined strongly with today’s China. They are different interpretations to China’s core philosophies of life. Over time, different dynasties favored different ideas, if only to define themselves against their predecessor. Ultimately though, it’s all about the philosophy of combining spirituality with the reality of everyday life. The more I learn about China, the more I realize that most of what happens in China has everything to do with cultural differences and little to do with the Chinese Communist Party. After all the more than 80-million members of the CCP are Chinese. In 2008, Lisa Wang wrote a post for China Law and Practice.com of Searching for Liability: Online Copyright Infringement in China. Many in the West that read this may think infringement of copyright in China is done to make money by selling fake copies but, while somewhat true, that isn’t always the case. The Economist reported how difficult it was to make a profit in the toughest recorded-music market in the world, which is China, because many chinse will not pay to download music from the Internet. Instead, people in China download music free from a number of sites where other Chinese have made the music available. Despite government censorship, many Chinese download pirated videos and watch the latest movie releases and television shows from America. Pirated American TV shows are so widespread in China, Wentworth Miller, who is best-known for his role in the Fox television show Prison Break, was mobbed by his fans when he visited China. However, Prison Break is not officially broadcast by Chinese television stations. If China’s censors block a foreign TV show or movie, the Chinese may often watch pirated DVDs or go on-line to watch pirated versions for free. I know an American expatriate living in China that watches the latest American movies for free a few days after they hit the theaters in America, and he streams them on-line. The Chinese have a reputation for being frugal and saving money and this may be another way to achieve that goal by cooperatively helping each other read books and watch movies for free.